Thanks for coming! How Chloe would have adored this! All this love and all these people gathered together just for her. Chloe loved the stage; and here she is right at the centre of it. She’ll be looking down on us and saying... “Oh, no, Hannah it’s Mum! She’s so attention seeking. She’s so embarrassing. Mum will use that awful posh telephone voice, and she’s bound to cry and say something totally lame about me. Hannah, please stop her! Yes, Chloe sure liked to keep us oldies in check and delighted in telling me and Simon exactly where it was that we were going wrong. How we miss that. So, firstly, I apologise to both of my daughters that my eulogy will probably do all all of the above. It will also be woefully inadequate in capturing the spirit of my beautiful, feisty and amazing young daughter But I promise that, despite the most savage and intense grief, I will focus upon Chloe’s life. A short life that, thank God, was exceptionally well lived. Born 25th January 1995, she shot into the world determined to make her presence felt. She was a noisy baby, a tantrum-filled toddler and sometimes a nightmare little girl. In short, she was bursting with life, vitality and passion. She was argumentative, exasperating and totally adorable. Chloe, Hannah and I were joined in vice-like bond from the very beginning. We absolutely adored each other and, of course, still do. Chloe’s beauty, charm and independent spirit meant that I was wrapped around her little finger from the very beginning - as were so many others - and she exploited it dreadfully. She just had a way about her. I’m sorry Mr Hordley - I know that I ought to have helped you to mould Chloe into a diligent student. She was undeniably bright and full of potential; but I wasn’t much of a disciplinarian. I indulged both of my daughters from the start, but I hope it was that blanket of love and certainty that helped give Chloe the spirit, the resilience and the courage to carry on living - and really living in a quite spectacular way - for the three years of her illness. Deep down she probably knew that her lifespan was limited, but in her words “why go there?”. By 15, Chloe had blossomed into a beautiful young woman - leggy, with dark tumbling curls and huge green eyes. The world was at her feet; but little did we know that all hell was breaking loose inside her body. In February 2010 Chloe was diagnosed with Ewing’s Sarcoma, a rare and aggressive form of bone cancer that tends to affect tall adolescent boys and slim willowy girls. The horrible irony is that her sought-after body shape, made her susceptible to Ewing’s Sarcoma. We were brought down by a chance in a million; a lottery win in reverse. There is no reason for this illness, no genetic links - just pure bad luck. So how did she respond? Typically, she told me to “man up” as she set about identifying all the “hot boys” on the cancer ward. And there were many beautiful boys - two of them I’m so happy to say are here today. Strangely, we had some good times on that ward and bonded as part of an exclusive club - yet a club that no sane person would willingly apply to join. There were some very dark times to come; and I’d be lying if I said we didn’t at times drift into despair. But Chloe would always bounce back and quickly came to deal with her treatments in the same breazy, cheerful manner - planning it carefully around drama lessons, parties and the commandeering of Hannah’s ID card to facilitate Chloe’s illegal entry into SHOOSH nightclub in Croydon. Sterile surgical gloves that the NHS funded to assist Chloe’s cancer treatments, were instead used for fake tan applications. In full make-up and looking totally wonderful, Chloe would stick her arm out as the nurses pumped blood out or more medicines in. She didn’t do pain, she wasn’t squeamish and the nurses would have barely removed the last needle from her arm and she’d be up and off out with her friends into Croydon until 3 or 4 in the morning. Literally nothing would stop her. I am so proud of that spirit. II can barely hold back my tears when I think of how her dearest friends surrounded her with a cloak of love, fun and comfort. When Chloe was too ill to go out they’d all stay in with her; when Chloe was better: off out they all went. Quite a big deal for girls of 15 and 16 when the world is so irresistibly exciting. Chloe packed a lifetime of fun into those three years, because she had such good friends. You were so young, you are so young, but you dealt with a very poorly friend with a maturity way beyond your years. I suspect you all saw me as a “soft touch” as my eyes would light up as much as yours as I saw the beauty of you all heading off somewhere great and exciting. I think I got as much out of watching this as you did going. Lifts, the odd drink, opening the front door at 6am in the morning. No problem. They were some of my happiest times watching my daughter have such fun, with such wonderful young people, and knowing that it all probably wouldn’t last. There was a real intensity for me in those moments - I really can’t thank all her friends enough. I so miss the way you filled out house with the vitality of your young lives. I have no worries that you’ll be back to tell us about your fantastic careers, boyfriends and, of course, you know how much I love babies. Chloe was just too important to us all and we all shared some really intense memories. I hope that in time these memories hurt less and inspire more. Chloe didn’t see her dearest friends in the last few weeks of her life; that was only because she wanted you to remember her with a big smile, high heels and a far too short a skirt. The Chloe you and we all loved. She spent her final days with me, Hannah, Roman, Simon and Ralph. She gave us many gifts in those last few precious days - including telling me that I looked 10 years younger - very unlike Chloe and so I suspect that ‘the morphine was speaking’ when she said that. Chloe didn’t do cancer and didn’t do depression either. As we neared the end we snuggled up in her room and watched those dreadful Orange County Housewives programmes and wonderful Mike Leigh films. She was poorly at times, but not that often, we ate fish and chips, still applied makeup and fake tan , laughed lots and little Roman would be bouncing around in the middle of it all. Zoe we knew you were there with us in Germany and there was a huge comfort in knowing that you we could have called anytime and you would be there. Rosemary and Chloe Ridgeway you were there with us every step of the way and Chloe knew that you loved her so much - you were like an extra Mum and an extra sister. Jacob your sister loved you very much and she knew how much you wanted to see her. She just couldn’t - but she did know. Chloe’s spirit in the face of such adversity was startling and amazing. My daughter taught me to seize and live every minute don’t sweat the small stuff and accept when you can’t change things. She really is my inspiration. She took herself off Facebook when she couldn’t join in anymore and then buried herself right in the love of her family. And how we loved that. It was a privilege to care for her, and she showed such skill in protecting herself from emotional harm. Amazingly, most days she was happy; despite everything. and persuading me to let her go out clubbing the night before her Science GCSE exam! Oops! I forgot to tell Simon about that one!! Never mind! Chloe died as she lived - complaining little and trying to see the positive in the reduced landscape of her life. I’ve lost my best friend and half of my hopes and dreams (Hannah you have the other half). My family and I will never get over this - we don’t want to get over it. Our challenge is to accept her death into the narrative of our lives without destroying anything else with our grief. But at the same time, our story has been so life-affirming and we have been surrounded by the most wonderful love and support from a huge range of friends and family. You have held me up when I had no defences left and I know that you will continue to do so. There are far too many to thank here and now; but you know who you are. My husband Simon and my daughter Hannah have been absolute rocks. And baby Roman a ray of sunshine to us all. Hannah, we are so proud the way you’ve looked after your sister and we are most especially sad that we couldn’t save her for you. We did try very very hard. There is one person I do want to mention - David Thomas - who lost his son Daniel, a Classics scholar at Oxford, not long before Chloe died and to the same illness, Ewing’s Sarcoma. Despite this you have been a constant source of comfort to me - and sometimes a partner in crime as we fought the various ludicrous systems that prevented our children getting the right treatments at the right time. One doctor once remarked that our consultant had the worst of luck when he had a lawyer and a journalist joining forces against him. Oh well. I read the other day that there are worse emotions to have to live with than sadness, however vast and deep that sadness might be, it can be uplifting, invigorating, strengthening and above all a powerful reminder of how much Chloe matters; and always will. My family and I will work hard to ensure we turn our current debilitating grief over her loss into something positive and worthwhile. Outside our home, the care offered for teenagers with a cancer like Chloe isn’t good enough. Access to new treatments is sporadic and filled with many unnecessary obstacles. Chloe was treated on a seriously outdated protocol and this needs to change. Donations today are to the wonderful Teenage Cancer Trust. We’re pleased that Simon Davis, Chief Executive of the Teenage Cancer Trust is with us today. You’ll notice that he has his suits tailored with extra deep pockets: so however many of you wish to force donation cheques upon him today, he will still have room to carry them all away. Chloe was my inspiration and I’m determined to do something good in her name. I don't think I knew Chloe personally but I went to Coloma and I think I was 2 years above Hannah. I just wanted to say that I am so sorry to hear about what's happened, but that I was also very moved when I heard about it and read through the various posts on your blog. She sounds amazing, and so do you, and your family. The other thing is that you write fantastically well. As I say, I didn't know Chloe but you've brought her to life in a really incredible way through this blog. Please continue writing - you really do have a gift for it and I shouldn't wonder if all of these experiences, memories and emotions make their way someday into a phenomenal book. All the best, your family is in my prayers. How lovely that you've taken the time to post. Hannah was especially pleased. Thank you so much for your kind words and please keep us in your prayers. You probably don't expect someone to comment on a eulogy you wrote nearly 3 years ago. But I am here - in that place scared to put pen to paper and uncertain where to begin. And I have to thank you for posting yours. For publicly sharing your deepest emotions so that others like I can learn from it. My daughter also has passed from cancer (leukaemia) so I can resonate with much of your writing. I hope that the years have eased the pain and will use your writing to guide my own and strengthen me. 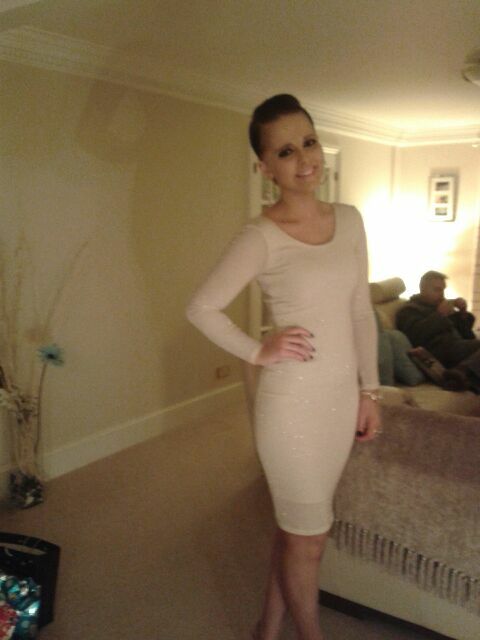 my daughter's dearest friend has just died at 23 from a secondary malignancy after treatment for Ewing's Sarcoma. Thank you for sharing your eulogy. I hope you don't mind that I will borrow some of your words to help express the inspiration we have all felt from her grace and courage. My daughter has just passed at the age of 21, your words have helped give me the courage to write from the heart. Thank you for sharing.